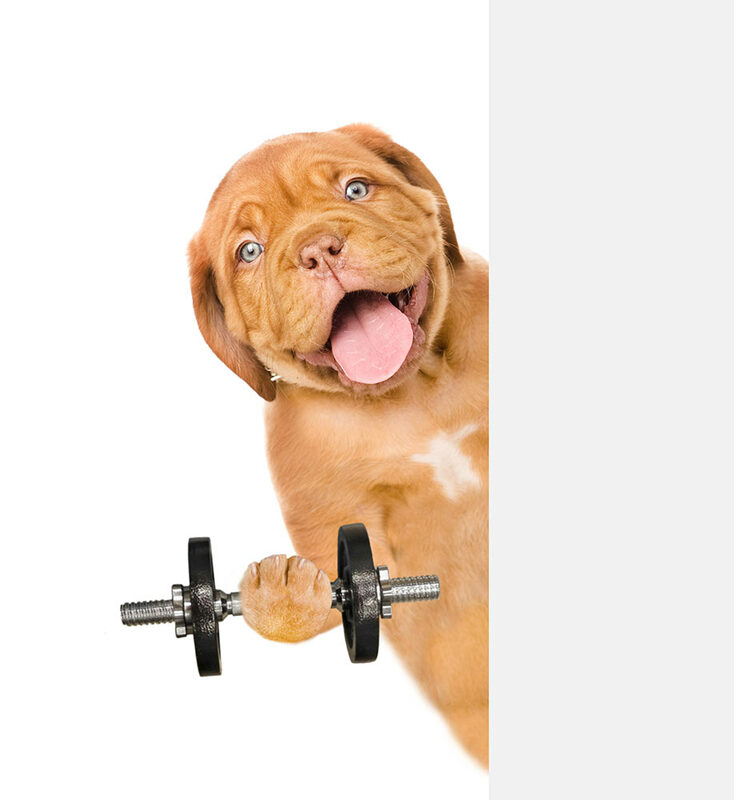 Our weight loss and fitness clinic is a service designed to provide you with a structured weight loss program for your pet, which clearly outlines the diet and exercise requirements to help you achieve your pet's weight loss goal or regain or maintain overall fitness. BUILD CONFIDENCE, IMPROVE FITNESS, FOCUS ATTENTION, STRENGTH MUSELCES and of course to LOSE OR MAINTAIN WEIGHT. We understand that establishing short and long term fitness goals is essential for working dogs seeking optimal performance, dogs recovering from an injury or senior or overweight dogs, is critical to their success and yours. Our goal in conjunction with your Vet is to help provide professionals and pet owners with the fitness and rehabilitation tools designed specifically for each individual dog. Your pet’s progress will then be tracked through weekly or fortnightly consultations with your weight clinic nurse and fitness expert. As your pet progresses towards their target weight, their diet and exercise plan will be reassessed to suit their changing needs. Throughout the program, staff at K9 will be available to discuss any queries that you may have. Once your pet has reached their target weight they will be happier, healthier and have greatly reduced their risk of developing weight related health problems. The challenge now will be to keep the excess weight off and we will devise a maintenance diet and exercise plan for your pet, to help them stay trim and healthy for the long run. As with humans, before your pet commences a weight loss program it is important that they have a full check up with a veterinarian to ensure that they do not have any underlying medical conditions which may be contributing to their weight gain. If your pet has not had a check-up within the last three months, we will make an appointment with your veterinarian for a consultation. Once your pet has been assessed by a veterinarian, they will be ready to start their weight loss journey through our Weight Loss Clinic program.